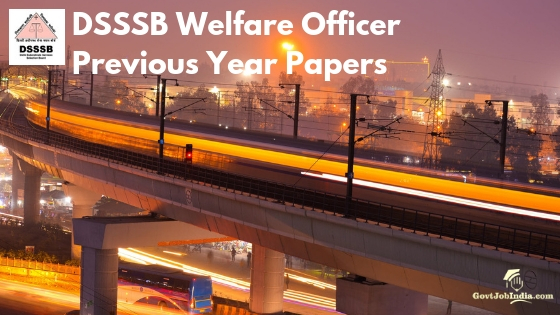 DSSSB Previous Year Papers: The official State Commission website @ delhi.gov.in has included DSSSB Previous Year Paper for Welfare Officer and other related posts. There is a separate section where applicants can find previous question bank for all the DSSSB vacancies applicable. If you do not wish to follow the online path to get papers, simply click on the link below. Scroll the article below and you will find a direct link to download Pdf. Along with it, we have also mentioned a section regarding “how to download DSSSB Welfare Officer Question Bank online”. Read the section, it will help you to get the study material. Total of 204 vacancies was declared for 7 different posts by the Delhi Subordinate Services Selection Board. Further, the selection procedure and qualifications differ for all of these posts. In-depth details are mentioned in our recruitment article linked below. Please go through the article carefully and let us know if you have any questions. Enter your doubts/questions in the comment section below. Please share the below DSSSB Welfare Officer Previous Year Question Paper with other candidates applying for similar posts. You can save them offline or take printouts to prepare for Tier 1 and Tier 2 examinations. The Delhi Subordinate Services Selection Board has set 2 major stages of selection procedure. It includes Tier 1 and Tier 2 examination. Marks obtained in Tier 1 examination will be considered for selection of Tier 2 exam. Tier 1 is just a selection round for the next step. The recruitment board might or might not add a skill test/endurance test based on the requirement of the post. In case if it is decided, the same will be updated right here. All the applicants are requested to also check the official website @ delhi.gov.in for updates. Category wise cut off and marking scheme is mentioned in the official advertisement Pdf. Kindly check the same. It is linked below in the “important links” section. As mentioned above there would be 2 examinations namely Tier 1 and Tier 2. One is a selection round and other is for final selection. Please note that the subjects included in both the examinations are similar. Tier 2 comprises of a bit higher level subjects as compared to Tier 1 test. Please check the below image. It has exam pattern and syllabus. Go carefully through the marks and questions in each test. You can also download it and refer offline. Kindly go through the below section and get the previous papers. The path mentioned below will take you directly to the DSSSB Welfare Officer Previous Year Paper or DSSSB Welfare Officer Question Bank. 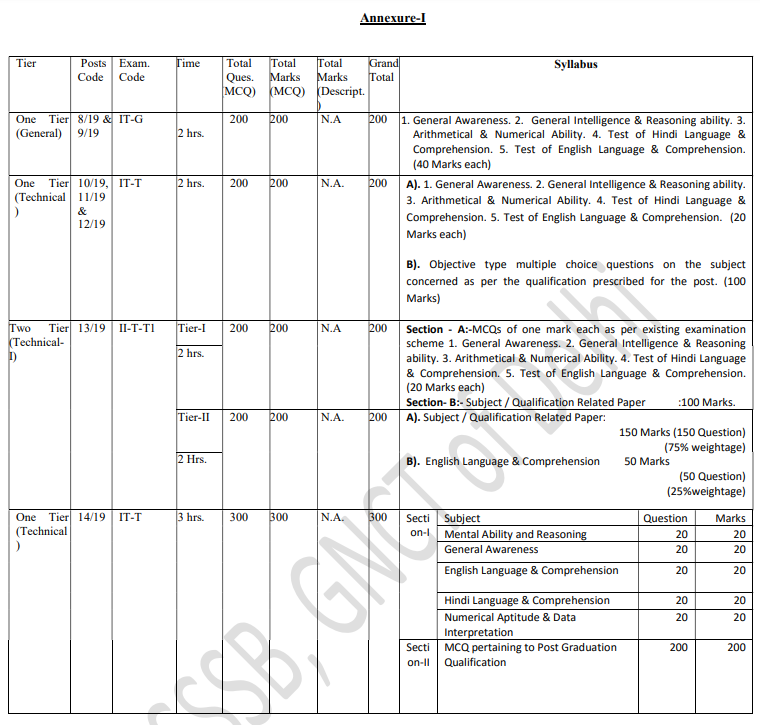 How to download DSSSB Previous Year Papers Online? Please visit the website and check for Employment/Business option provided on homepage. A separate web page with open. Look for ” Question Bank” on the left side”. Please directly proceed to the page number 7 of the question bank section. A list of various question banks will open. Search for welfare officer or the particular post. They are all official previous papers uploaded by the authority itself. If you find it complicated to follow the above path, simply click on the links below. Begin preparing with the help of DSSSB Previous Year Papers to tackle the examinations. Please enter your questions or queries regarding the same in the comment section below. We will certainly get back to you with relevant responses. Meanwhile, check our website @ govtjobindia.com for more job opportunities with Government of India. There are many various options based on locations, sectors, and academic qualifications. You can also check other DSSSB related articles on our website. All the best!